The Berlin Wall was both the physical division between West Berlin and East Germany from 1961 to 1989 and the symbolic boundary between democracy and Communism during the Cold War. The long path to the Berlin Wall began in 1945, when Josef Stalin instructed the Communist Party to take power in the Soviet occupation zone while the three Western allies secured their areas of influence. When Germany was split into separate states in 1949, Berlin remained divided into four sectors, with West Berlin surrounded by the GDR but lingering as a captivating showcase for Western values and goods. Following a failed Soviet attempt to expel the allies from West Berlin with a blockade in 1948–49, a second crisis ensued from 1958–61, during which the Soviet Union demanded once and for all the withdrawal of the Western powers and the transition of West Berlin to a “Free City.” Ultimately Nikita Khrushchev decided to close the border in hopes of halting the overwhelming exodus of East Germans into the West. 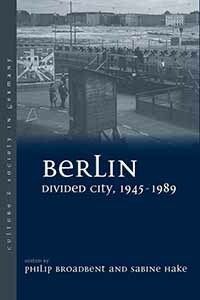 This volume examines how the city was conceived, perceived, and represented during the four decades preceding reunification and thereby offers a unique perspective on divided Berlin’s identities. 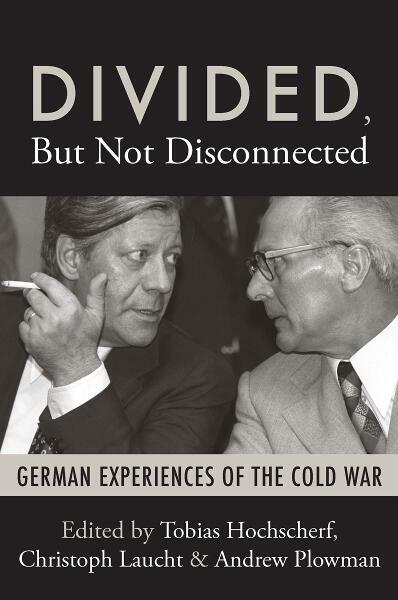 German historians, art historians, architectural historians, and literary and cultural studies scholars explore the divisions and antagonisms that defined East and West Berlin; and by tracing the little studied similarities and extensive exchanges that occurred despite the presence of the Berlin Wall, they present an indispensible study on the politics and culture of the Cold War. The fall of the Berlin Wall and the unification of East and West Germany in 1989/90 were events of world-historical significance. The twentieth anniversary of this juncture represents an excellent opportunity to reflect upon the evolution of the new Berlin Republic. Given the on-going significance of the country for theory and concept–building in many disciplines, an in-depth examination of the case is essential. In this volume, unique in its focus on all aspects of contemporary Germany – culture, historiography, society, politics and the economy – top scholars offer their assessments of the country’s performance in these and other areas and analyze the successes and continued challenges. By exploring the ways in which lower-level functionaries and people at the grass roots contributed to the formation and transformation of the GDR ­ from industry and agriculture, through popular sport and cultural life, to the passage of generations and varieties of social experience ­ the contributors collectively develop a more complex approach to the history of East Germany. 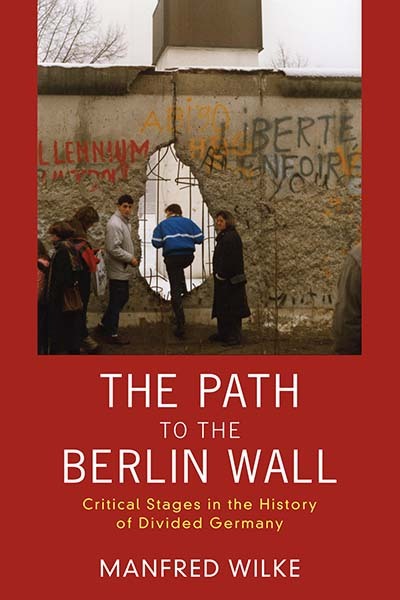 Twenty years after the fall of the Berlin Wall, this important book explores the role of France in the events leading up to the end of the Cold War and German unification. Most accounts concentrate on the role of the United States and look at these events through the bipolar prism of Soviet-American relations. Yet because of its central position in Europe and of its status as Germany’s foremost European partner, France and its President, François Mitterrand, played a decisive role in these pivotal international events: the peaceful liberation of Eastern Europe from Soviet rule starting in 1988, the fall of the Berlin Wall and Germany’s return to unity and full sovereignty in 1989/90, and the breakup of the USSR in 1991. Based on extensive research and a vast amount of archival sources, this book explores the role played by France in shaping a new European order. A benchmark study in the changing field of urban anthropology, Berlin, Alexanderplatz is an ethnographic examination of the rapid transformation of the unified Berlin. Through a captivating account of the controversy around this symbolic public square in East Berlin, the book raises acute questions about expertise, citizenship, government and belonging. 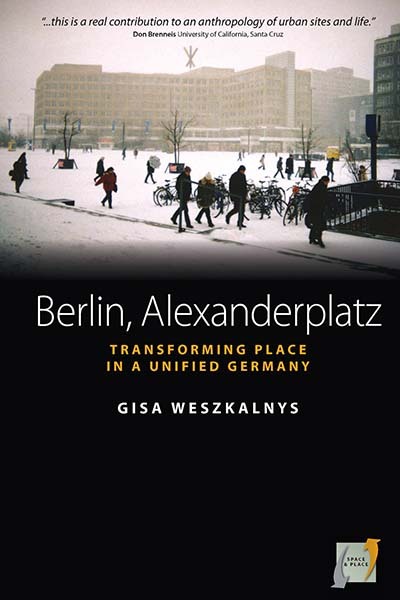 Based on ethnographic fieldwork in the city administration bureaus, developers’ offices, citizen groups and in Alexanderplatz itself, the author advances a richly innovative analysis of the multiplicity of place. Alexanderplatz emerges as a socialist spatial exemplar, a ‘future’ under construction, an object of grievance, and a vision of robust public space. This book is both a critical contribution to the anthropology of contemporary modernity and a radical intervention in current cross-disciplinary debates on the city. Cold War history has emphasized the division of Europe into two warring camps with separate ideologies and little in common. 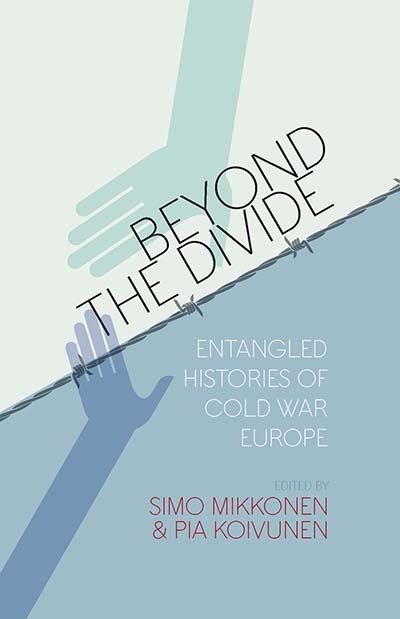 This volume presents an alternative perspective by suggesting that there were transnational networks bridging the gap and connecting like-minded people on both sides of the divide. Long before the fall of the Berlin Wall, there were institutions, organizations, and individuals who brought people from the East and the West together, joined by shared professions, ideas, and sometimes even through marriage. The volume aims at proving that the post-WWII histories of Western and Eastern Europe were entangled by looking at cases involving France, Denmark, Poland, Romania, Switzerland, and others. Since the fall of the Berlin Wall, there has been a proliferation of German historical films. These productions have earned prestigious awards and scored at box offices both at home and abroad, where they count among the most popular German films of all time. Suddenly, however, a significant departure has been made from the country’s prominent cinematic take on history: the radical style, content, and politics of the New German Cinema. 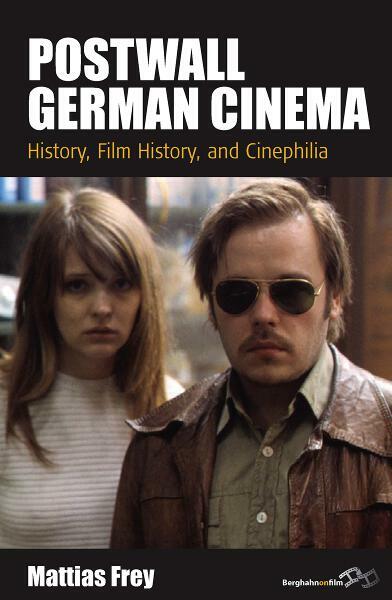 With in-depth analyses of the major trends and films, this book represents a comprehensive assessment of the historical film in postwall Germany. Challenging previous paradigms, it takes account of a postwall cinema of retro-flection as a complex engagement with various historiographical forms and, above all, with film history itself. The communist German Democratic Republic, founded in 1949 in the Soviet-occupied zone of post-war Germany is, for many people, epitomized by the Berlin Wall; Soviet tanks and surveillance by the secret security police, the Stasi, appear to be central. But is this really all there is to the GDR¹s history? How did people come to terms with their situation and make new lives behind the Wall? When the social history of the GDR in the 1960s and 1970s is explored, new patterns become evident. A fragile stability emerged in a period characterized by ‘consumer socialism’, international recognition and détente. Growing participation in the micro-structures of power, and conformity to the unwritten rules of an increasingly predictable system, suggest increasing accommodation to dominant norms and conceptions of socialist ‘normality’. By exploring the ways in which lower-level functionaries and people at the grass roots contributed to the formation and transformation of the GDR ­ from industry and agriculture, through popular sport and cultural life, to the passage of generations and varieties of social experience ­ the contributors collectively develop a more complex approach to the history of East Germany. 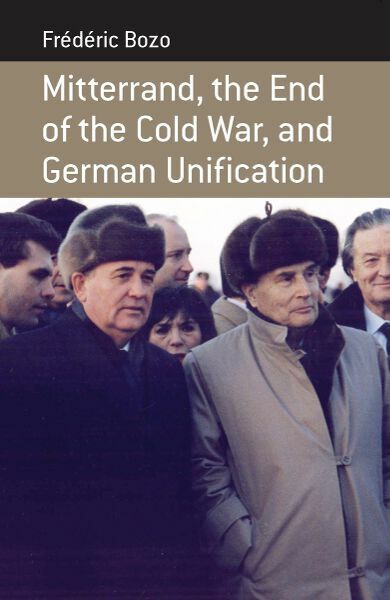 During the Cold War, Britain had an astonishing number of contacts and connections with one of the Soviet Bloc’s most hard-line regimes: the German Democratic Republic. The left wing of the British Labour Party and the Trade Unions often had closer ties with communist East Germany than the Communist Party of Great Britain (CPGB). There were strong connections between the East German and British churches, women’s movements, and peace movements; influential conservative politicians and the Communist leadership in the GDR had working relationships; and lucrative contracts existed between business leaders in Britain and their counterparts in East Germany. 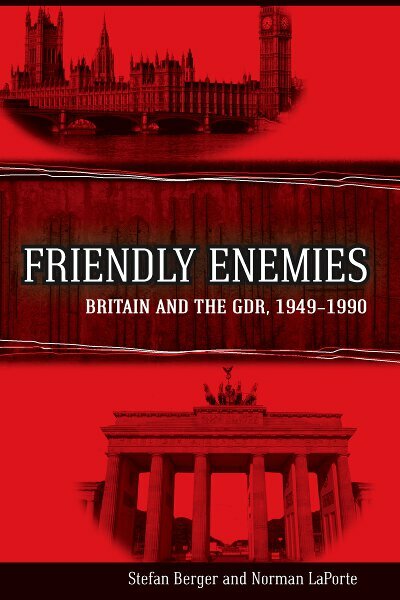 Based on their extensive knowledge of the documentary sources, the authors provide the first comprehensive study of Anglo-East German relations in this surprisingly under-researched field. 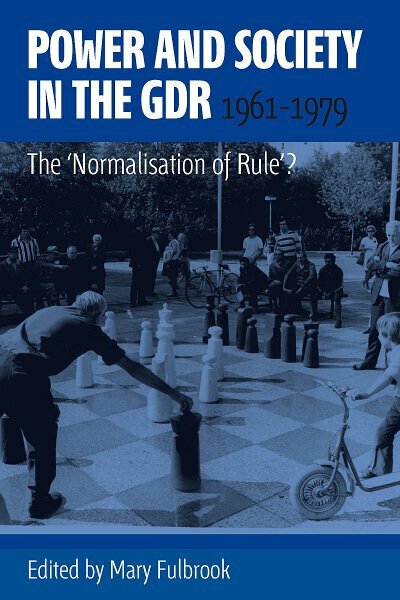 They examine the complex motivations underlying different political groups’ engagement with the GDR, and offer new and interesting insights into British political culture during the Cold War. 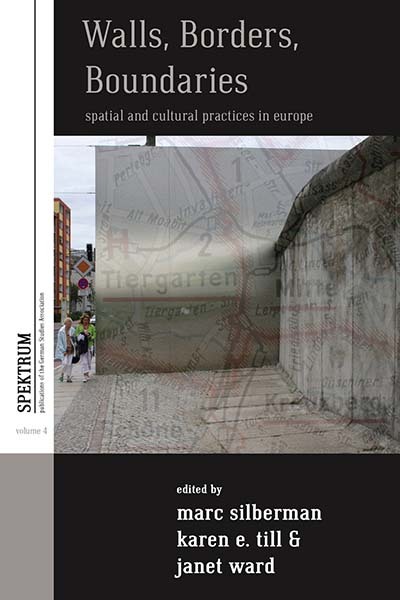 This edited volume explores the crossings, permeations, and constructions of cultural and political borders between peoples and territories, examining how walls, borders, and boundaries signify both interdependence and contact within sites of conflict and separation. The journal provides a forum for critical analysis and debate about politics, history, film, literature, visual arts, and popular culture in contemporary Germany. 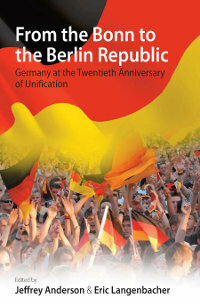 Every issue includes contributions by renowned scholars commenting on recent books about Germany. « Academic Book Week is Here!